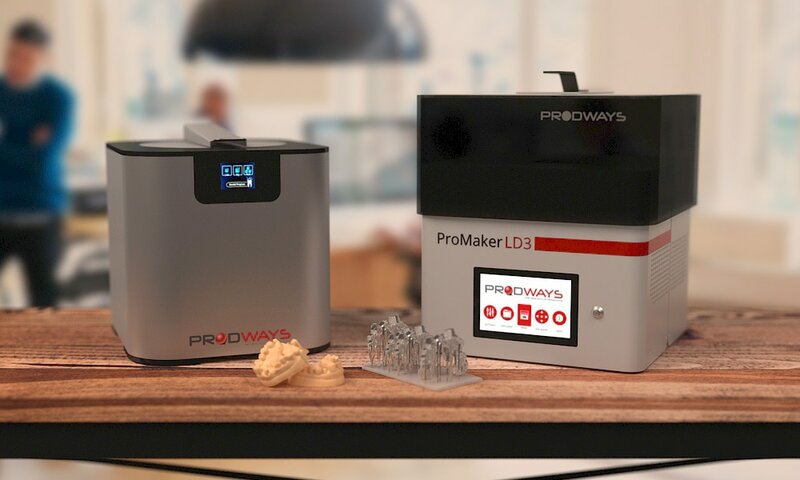 Prodways Technologies announced that it has launched a new compact ProMaker LD-3, moving DLP 3D Printer for the dental, jewelry, education or prototyping industries. Based on the company’s DLP Technology, the new ProMaker LD-3 3D printer offers professional performance in a more compact, mult-functional format at an affordable price. The new compact design of the 3D printer fits in all environments, making it ideal for several markets that range from dental, jewelry, education or prototyping. The best part about the new ProMaker LD-3 is it comes with a full dental package. This package delivers complete high-value services of Prodways from specific dental materials to Prodways dental expert support and training. Prodways Technologies will also offer a dedicated jewelry package and plans to expand it further to education and prototyping industries by 2019. The launch of this new ProMaker LD-3 compact 3D printer has allowed Prodways Technlogies to address a new segment of professionals especially those looking for high quality 3D printing in a compact footprint. The newly launched 3D printer is a testimony of the company’s strategy to offer a broad portfolio of 3D printing machines, from large industrial machines to professional compact machines.